Colin and Jane's Cape Cod style home was built in 1834 on a pioneer farm (see photo). 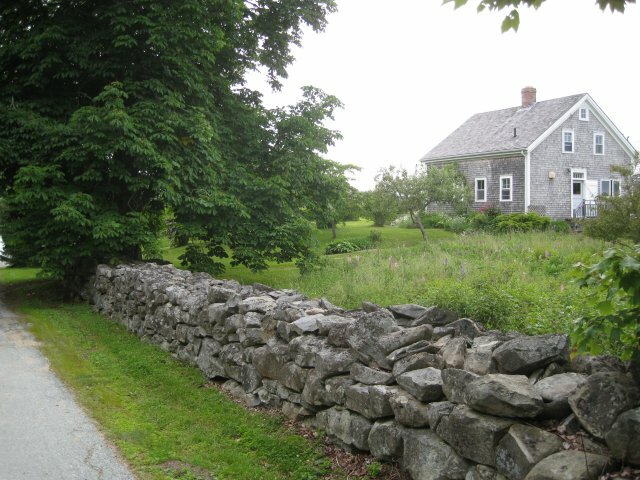 The stone wall was built about 1790 from rocks on the fields when the farm was started. The chestnut trees are probably just as old. After breakfast with toasted home-made bread we were on our way 350 miles to North Sidney to catch the ferry to Newfoundland tomorrow. We had a late lunch at Mother Webb's. Highly recommended by Colin and Jane, this is a steak and hamburger joint beside the main road. We were not disappointed. The food was great and the service hard to beat.